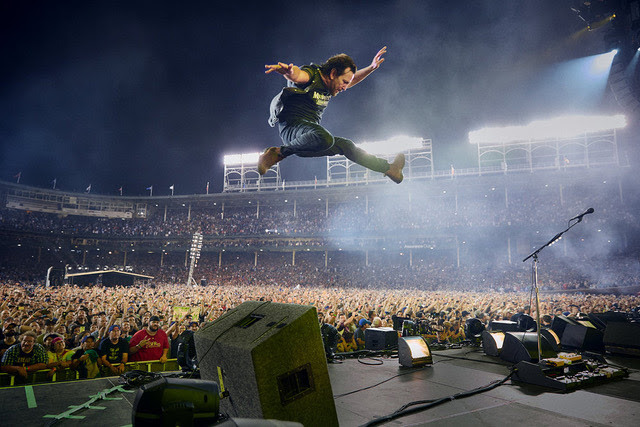 A beautifully shot film (this may very well be the best looking concert film I have ever seen) the film alternates between Eddie and friends talking about the Cubs and Chicago and some great music. The trouble is that unless you are a die hard Cubs fan there is a point where you turn off and stop caring. There is only so much gushing about the other guys team a fan can take. At a certain point I just wasn't interested. Additionally despite the best cinematic concert images I've ever seen the editing doesn't do anything to generate interest. Pearl Jam is not a big show group so there is no spectacle to watch and despite being glorious to look at the images never get inside the soul of anyone. Something is missing- a sense of life that the largely static images never convey. This doesn't mean the LET'S PLAY TO is bad- it's not, it's simply that despite some glorious parts it never achieves the heights that it should be be as glorious a whole. Recommended for Pearl Jam and Chicago Cubs fans as film. For everyone else think of it as a visual album.